Welcome to the Prime Windows.com! Window cleaning In New York is a Herculean task for most people. The tedious and sometimes risky nature, because in the case of high rise buildings, it involves the use of ladder, of this chore does not help matters. As a result, not many people look forward to cleaning the windows of their Brooklyn homes. These people don�t enjoy doing this kind of chore at all. The window is an important gateway to the outside of your home. Fresh air, sunshine, and light enter your home through the windows. Thus, they need to be in a clean and sparkling state at all times. 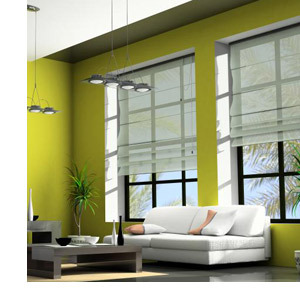 It is therefore important to keep your window neat and tidy by regular cleaning of the windows. Cleaning the windows in a New York City home or apartment is a tall order for most people. Such kind of people should heave a sigh of relief as there are professional cleaning companies out there to help. These companies are in business to take care of the needs of people having a tough time making their window look neat and tidy. Prime Windows Cleaning in Brooklyn, New York is one such professional cleaning company with a fantastic reputation in the business. We are a family owned business with over 8 years experience in cleaning even the most difficult windows. We are a fully licensed and insured company. We also have a workers' compensation certificate, which should put our clients� minds at ease. A workers' compensation certificate is important to protect clients from paying damages as a result of any accident that occur during the job. Clients� satisfaction is our top priority. Thus our technicians are well trained and provided with the right equipment and chemicals to render top quality services to our clients. We always want to take the quality of our services to the next level. This is why our technicians undergo regular training to improve their knowledge. This puts them in a good position to handle difficult jobs that come their way. Window cleaning is an all-comer business. It attracts a lot of people who don�t have the required expertise. We, at Prime Windows Cleaning, try to stand out from the rest. Our technicians are professional in their approach to the job. They are polite, courteous, punctual and are always on their uniform when working on a job. We also deploy the use of the necessary equipment and chemicals to make window dazzling and sparkling. When in need of our services, we will be very glad to offer you a free estimate. We are very confident about the quality of our job that we offer the phone numbers of our previous clients to our new clients. They can contact them to verify our claims. We are always available at all times. Hire us today to give your window that befitting look that it deserves.